In 1926, age 9, Francis Crick began attending Northampton Grammar School. He enjoyed science and began asking serious questions about the world around him. Although his parents were both churchgoers, Francis found parts of the Bible hard to believe: the more he learned about science, the less believable they became. For example, he read about the geological, fossil, and astronomical evidence indicating our planet is much older than a literal reading of the Bible would suggest. He then reasoned that if some parts of the Bible were unreliable, then the whole book was unreliable. At about age 12 he stopped going to church, which upset his mother. In 1930, age 14, Francis won a scholarship to Mill Hill, a boarding school in London. There he was remembered as loud, quirky, and rather clever, but not a brilliant student. He was mathematically competent and in 1933 won the school’s chemistry prize. 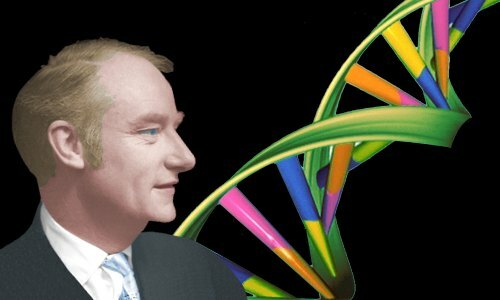 In the fall of 1934 Crick became a freshman at UCL (University College London). He graduated three years later with a second class honors degree in physics with mathematics. Although his degree grade did not suggest he was a budding scientific genius, family wealth came to his rescue, allowing him to consider graduate school. With financial support from his uncle Walter, he began a physics doctorate at UCL in the fall of 1937. Crick’s Ph.D. research, measuring the viscosity of water, was excellent, bringing him a prize. Unfortunately it bored him, and he was only too happy to abandon it in September 1939 when World War 2 broke out. Expecting Nazi bombers to appear over Britain’s capital within days, UCL’s physics department evacuated to Wales. Crick stayed in London and landed a civilian research position with the Royal Navy. He worked on ways to deactivate magnetic mines dropped by Nazi aircraft in shipping lanes. Later, as a team leader, he developed magnetic mines. He designed a magnetic mine specifically to sink the enemy’s magnetic mine detection ships – his mines notched up over 100 sinkings. 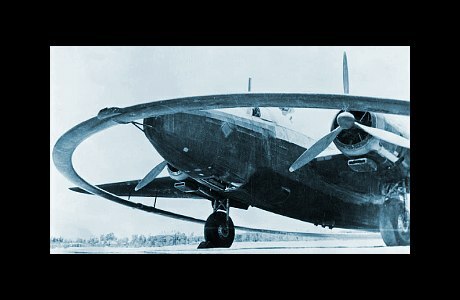 British World War 2 Wellington Bomber equipped with electromagnetic ring to detonate magnetic mines in the sea below. At the end of the war, Crick used his self-designed gossip test to decide where his future lay.